No experience necessary! 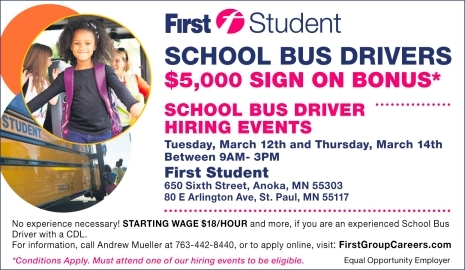 STARTING WAGE $18/HOUR and more, if you are an experienced School Bus Driver with a CDL. *Conditions Apply. Must attend one of our hiring events to be eligible.